If you have ever been to a Good Friday Service at Terra Nova you may know that often the service will end abruptly with no more than a simple direction for all to “Please exit silently.” This open-endedness emphasizes that the solemn, mournful pondering on the enormity of Christ’s sacrifice is but a part of the true and glorious Passion story. We may weep on Good Friday and Holy Saturday, but the “joy that comes with the morning” is what the Church commemorates on Easter Sunday when we celebrate Christ’s victory over sin & death with His miraculous resurrection from the grave. And in doing so, He continues to reveal Himself to us with truth and grace. 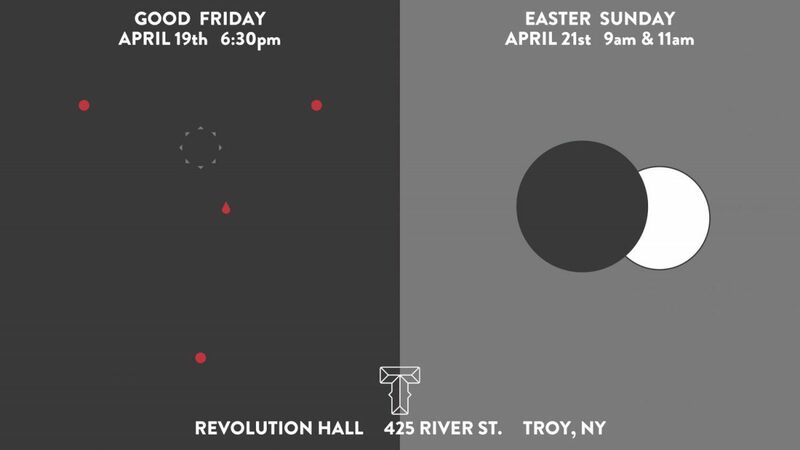 Come join us at Revolution Hall in Troy on both Good Friday and Easter Sunday.